The Soviet Chess School (ISBN 4871874613) is a completely different book from The Soviet School of Chess (ISBN 4871878198). The Soviet Chess School is not an upgrade, revision or sequel to The Soviet School of Chess. It is an entirely different work, even though it is by the same two authors and the title is almost exactly the same. The Soviet Chess School has biographies and lots of games and pictures of players such as Kasparov, Karpov and Spassky whereas these players are not mentioned in the 32-years earlier work The Soviet School of Chess. Comparing these books to each other is like comparing apples to oranges. They are completely different, so it cannot be said that one is better than the other. The Soviet School of Chess was first published in 1951 in Russian and then translated and published in English in 1958. The Soviet Chess School was first published in 1983 in Moscow USSR. It does not appear ever to have been published in Russian. The Soviet Chess School covers a broader time period, starting with the invention of chess, 1500 years ago. It states that chess came to Russia in the 11th or 12th centuries and not from Europe but directly from Persia or Arabia. This is demonstrated by the different names for the chess pieces, such as "Ladia" meaning boat in contrast to the European word "rook" for the same piece and "Ferz" or vizier for the piece that is called "Queen" in most European languages. The Soviet Chess School states that the Tzars of Russia, Ivan the Terrible (1530-1584), Peter the Great (1672-1725) and Paul I (1754-1801) were all chess players. It recounts incidents of them playing chess, including a visit in 1781 by Paul I to Paris where he visited a chess club. GMAlexander Alexandrovich Kotov was born on 12 August. He was a Soviet chess grandmaster and author. One of the strongest players in the world, he set the record for the best score in an Interzonal Tournament for the World Chess Championship, a record Bobby Fischer tried to beat without success. He was a Soviet champion, a two-time world title Candidate, and a prolific chess author. Kotov served in high posts in the Soviet Chess Federation and most of his books were written during the period of Cold War between the US and the USSR. Kotov's books also included frequent praise for the Soviet system in general. 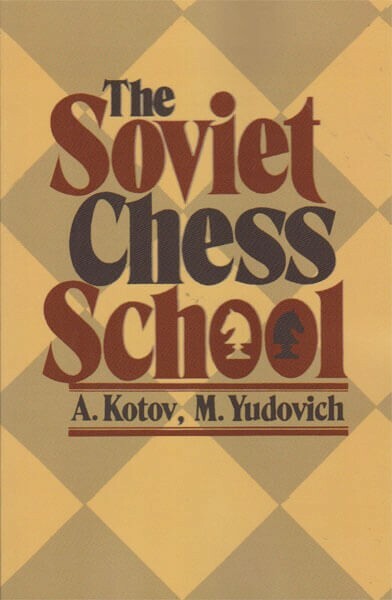 The 1958 book The Soviet School of Chess (which he co-wrote with Mikhail Yudovich) stated that "The rise of the Soviet school to the summit of world chess is a logical result of socialist cultural development." Notwithstanding Kotov's forays into the political realm, his books were insightful and informative and were written in a congenial style. He often made his points by citing first-hand stories of incidents involving famous grandmasters, most of whom he knew personally. Such entertaining and enlightening personal accounts helped to ensure that his books would remain popular among chess players of widely varying nationalities and playing strengths. He died on 8 January 1981.